According to the South China Morning Post, this is the message China is sending to its people and to the world with the 19th Party Congress of the Communist Party of China (CPC) held from October 18th through the 24th, 2017, in Beijing. This congress was significant for two reasons. First, because it was the first congress since China ascended to playing a pivotal role in world politics, and, second, because Xi Jinping is about to enter the second five years of his ten-year term. According to a BBC video, when the congress was asked if there were any objection to Xi continuing his term, the chamber erupted with shouts of “Mei you” or “No!” Xi’s positive approval rating in the congress is echoed throughout the populace, many of whom rely on evaluations of the economy to determine the success of a Chinese leader. Xi has made the economy a priority by setting a GDP growth target of 6.5% this year. And in the previous quarter, China’s economy grew by 6.8%. The Communist Party of China Congress, held twice per decade, was a test of Xi Jinping’s efficacy as president. Leading up to the meeting, he had strongly urged all departments to turn in positive economic indicators. This drive for growth was accomplished through exports, infrastructure investment, real-estate, and debt. Some warn that growth at the expense of debt is unsustainable. Apart from debt, and a possible real-estate bubble, most of China’s economic indicators under Xi have been good. The IMF reported that the Chinese economy appears to be making a comeback, with the IMF increasing its own predictions for the growth of China’s GDP. They also attributed both global economic growth and particularly the growth of the Asian economy to the expanding Chinese economy. China’s exports increased, which is partly attributable to an improved global economy. Global GDP grew by approximately 3.6%, meaning that foreign countries had more money to purchase Chinese goods. 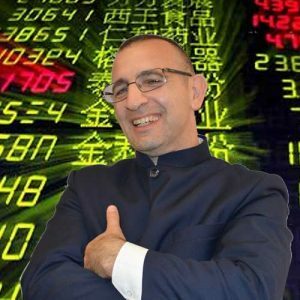 A unique twist to the Chinese economic picture this year was that China’s imports grew faster than exports.This can be interpreted as a positive indicator, meaning that the Chinese people had more disposable income or that they felt confident enough to increase their spending. Or, it could be interpreted as a negative indicator, meaning China is beginning to buy more than it produces. Under Xi’s leadership, the government embarked on a far-reaching anti-corruption campaign the likes of which China had never seen. Citizens also witnessed a stock market crash, a reduction of China’s legendary foreign currency reserves, a decline in the value of the Yuan and ever increasing public debt. However, apparent negative indicators in the Chinese economy may not be as bad as they seem. The anti-corruption campaign, which seems to be continuing unabated, hopefully will attract more foreign investment. And new legislation has allowed foreigners to invest in China’s stock markets. Xi’s government has also been exploring ways to reign in China’s notorious stock market volatility. With over 200 million registered trading accounts, China’s stock markets are some of the most volatile in the world. In 2015, for example, the Shanghai and Shenzhen indexes rose by 40%. In that same year, IPOS averaged 44% growth on their opening day. Also in 2015, China’s stock markets experienced a 20% drop in a single week. Under Xi Jinping, the stock markets now have automatic circuit breakers built-in which would halt trading if the indexes went into a major diveTherefore, on the whole, China’s investment climate appears to be improving, if at the expense of more government intervention. The low currency value is good for exports, and exports are at the core of China’s GDP growth. The reason the currency is low is because the Yuan is now subjected to greater market exposure. One of Donald Trump’s major complaints against China was that the government was intentionally manipulating the currency, driving its value down, in order to increase the price attractiveness of Chinese exports. Under the Xi government, however, the valuation mechanisms for the Yuan have been more closely linked to market forces, such as the previous day’s closing value. This suggests that if the price of the Yuan dropped, it was because the world currency markets were willing to pay less for not, not because of some nefarious action taken by the Chinese government. Consequently, most economists, and even the US Treasury believe China is no longer a currency manipulator. Under Xi Jinping’s watch, Chinese currency, which was nearly non-convertible a decade ago, is now one of five currencies endorsed by the IMF for international trade. In 2015 the IMF had enough faith in the Yuan to add it to the basket of international currencies called the Special Drawing Rights (SDR). This has been a tremendous boost to feelings of pride in China and has added to Xi Jinping’s already stellar approval ratings. For the world outside of China, however, the inclusion of the Yuan in the SDR may not represent as much of a victory as it seems. Although the Yuan was included in the IMF’s Special Drawing Rights, the internationalization of the Yuan has stalled, with the Yuan accounting for only 1.9% of the world’s international payments and just 1.1% of foreign currency reserves held by central banks. This means that while on paper, the Yuan is an international currency, in practice, it is not widely used, outside of China. Over the last two years, the China central bank has had to use some of its legendary foreign currency reserves to bail out the economy. Now, however, the currency reserves have returned to their previous level of just over $3 trillion dollars, with China still the largest holder of US foreign debt. And of course, China’s public debt continues to grow, hitting 243% of GDP.The steady increase in debt is largely attributable to massive state-owned enterprises (SOE) which, although not profitable, still receive loans from state-owned banks. Irrespective of the creditworthiness of SOE projects, the banks grant the loans, knowing that ultimately the government will pay them off. For President Xi, the SOEs present a very complex problem. On the one hand, they are bloated, expensive, outdated dinosaurs that could not survive without government support. On the other hand, they are leading much of China’s overseas expansion in the Belt and Road Initiative. On the domestic front, the SOEs are needed because they provide jobs. If they were to be privatized, and forced to earn a profit, one of the first steps the new management would take would be to fire up to 40% of the staff. So far, this seems to be a reform that Xi Jinping has avoided. China’s outbound investment has decreased in 2017. In 2016, China’s outbound investment hit a record high with investment in the US alone increasing 359%. In the first half of 2017, outbound investment decreased by 46%. This decrease comes, in part, from a government crackdown on cash outflows in an attempt to prevent capital flight. Certain outbound investments are still being encouraged, however, including in the technology sector and foreign investments associated with China’s Belt and Road Initiative. While an in depth, critical analysis of the Chinese economic data may yield a mixed picture of pluses and minuses, the consensus inside of China is that Xi has been good for the economy. 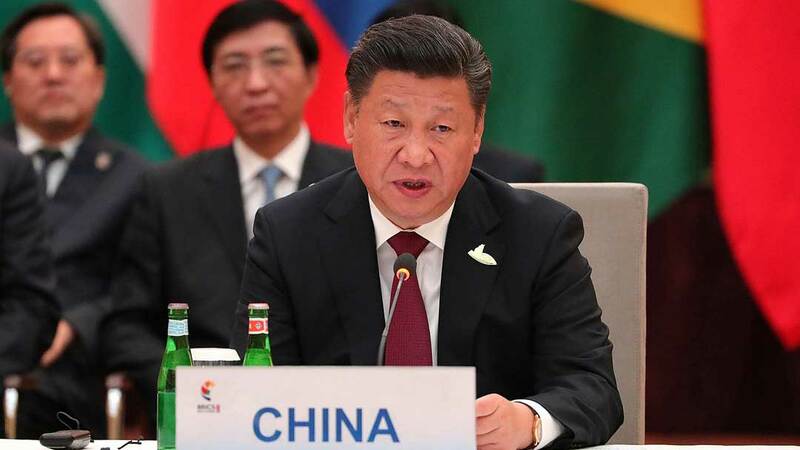 Additionally, both inside and outside of China, there is agreement that Xi Jinping has been good for China’s place in the world. He has been called by both the BBC and the Financial Times, “the most powerful Chinese leader since Mao.” And Forbes Magazine dubbed him the 9th most powerful person in the world. Since the death of Chairman Mao, the Communist Party of China has been careful to avoid allowing any leader to develop a cult of personality. In the case of Xi, however, it seems unavoidable. The World’s Most Powerful People: The Top 20 – Forbes, https://www.forbes.com/pictures/54f4e711da47a54de8245226/9-xi-jinping/#14eb18ae56c5the.